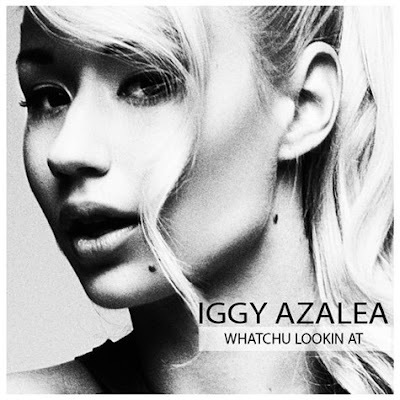 Iggy's asking the question that I always ask... Whatchu Lookin At? Lol! The Aussie female rapper who released her two mixtapes - 'Ignorant Art' and the most recent one 'Trap Gold' has dropped this new track 'Whatchu Lookin At' some free music for her fans. "Hey.... I made this last night in the studio and wanted to share this with you..." Is what she tweeted via her Twitter account. Iggy Azalea joins Rita Ora on her Radioactive tour which kicks off in the UK on January 28, first stop - Manchester! I'm definitely looking forward to her album.